Dunwell Elevator (DES) is an elevator service company and a licensed inspection agency operating in New York City since 1982. 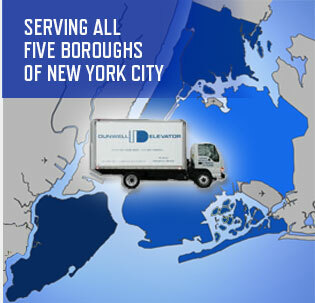 Centrally located in the geographic heart of NYC, DES’s fleet of trucks strategically serve all five boroughs with the best-trained elevator technicians in the NYC Metropolitan area. DES’s services include: Elevator Maintenance, Elevator Inspections, Elevator Repair, and Elevator Modernization.